Every smoker, old or new, loves to test out new products designed to make their smoke sessions easier and more enjoyable. 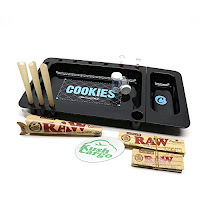 Marijuana subscription box services aim to fill that inherent desire, and for a one time or monthly fee, you can simply wait at home for a box to be delivered to your door filled with cannabis related items. We have compiled a list of every current cannabis subscription box service we could find. This list includes boxes that have actual medical marijuana in them, as well boxes with CBD oils. Most boxes however are perfectly legal in all 50 states, and 98% of this list contain weed subscription boxes that are just cannabis smoking accessories. 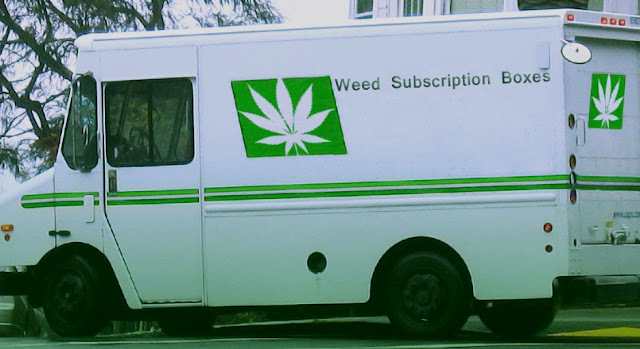 All prices, and services will be laid out so this post will serve as your one stop shop guide to picking out the right marijuana subscription box that fits your smoking lifestyle, from cannabis activist, to first time toker, there is a subscription that fits into all marijuana lifestyles. At the end of the post I will leave amazon links to the most common items found in these boxes. Most of these vendors give you a lot of paper products, or other small novelty items such as stickers, and snacks. Some do give you glass pieces. These guys skimp hard on their contents. Majority is paper and dollar snacks. They normally include 1 chinese or indian wholesale glass piece as well. Sometimes it's a chinese or indian knockoff grinder or torch lighter. Final verdict: Better ones out there, move on. 8-9 items Super // less in the others, site doesn't list specifics. These guys charge like the other but by far skimp the most on the boxes, they then ask you to blast social media with their sub-par offerings. They advertise their box as a "restock of supplies" giving eyedrops, and the most basic paper supplies. You are not guaranteed a glass piece either. These guys charge a lot, but they claim their normal boxes are worth 45-85 and the top shelf boxes are worth 150. At those prices you'd expect the gear to be really nice, but just like little guys, these guys are all about that profit off of splitting the wholsesale goods. Expect glass to be all chinese or indian made, and sometime they send you plastic. For $94 dollars a month, glass should be a guarantee. Final verdict: Too pricey for the goods, move on. This is the box for anyone who has a sweet tooth. PufferBox includes a variety of foods, and candies for those times of extreme munchies. They do include glass in every box which is nice, but once again it is wholesale chinese and indian glass. These boxes provide the smallest quantity of items. The 420GB is attractive at first, until you see what's actually in the box. It's exactly like the others, and they deliver cheap wholesale glass plus typical paper products at a higher price than what you should pay. This pizza shaped marijuana accessory subscription service provides essentials and a couple small items liek a dabber or dab pad. These guys are still new to the game, and they don't have the customize box service available yet, so maybe they will get better in the future. For now, their boxes focus on the basics. These guys offer a ton of choices, however they use low quality wholesale chinese and indian glass. Occasionally they will offer a new industry item. They also tout themselves as a re-up process for the basics. If you like getting a new small dab pad along with a lighter, and ozium every month, then these guys aren't a bad option. Final verdict: Average, test them if you want, I would recommend others before this one though. This box is worth the money, the glass piece is usually a scientific piece. They don't waste items on snacks like a funsize snickers. You do get cleaning supplies and stickers in this one, but overall the quality of the glass piece makes up for the shipping. They also do a lot of collabs with celebrities for special boxes. Final verdict: Give this one a shot if you like quality glass. This box describes itself as a monthly that lets anyone become an activist. They say they donate a portion of their proceed to non-profits and individuals wh oare working towards decriminalization, legalization, or destigmatization, which isn't a word by the way. They go on to say they launched in December 2015, and have no numbers to report. They do not list any organization that they donate to. They also haven't updated since claiming they would donate $1000 to "the movement" before even launching. I am not claiming they are not following through on their word, I just don't see evidence on their site. Personally, I have to say that any person or company who is preying on the minds of those willing to give money to the legalization effort is harming the community. This box company is ran by a "Youtube Personality" who handpicks the items. Items include hemp based shampoos, soaps, lip glosses, art, coloring pages, music downloads, and news articles. For the money, this one gives company gives you the least amount of smoking tools and accessories, but they do give the most things to keep you entertained while being stoned. Final verdict: Girls may appreciate all of the handpicked body items a tad more than the guys, but the items are healthy and useful to anyone. Get this box if you want stuff to do while high, and like hemp based products as well. Note: I would stray away from this box if you are going at it from a purely activist point of view. Monetary support could be given to Norml or any other non-profit directly. Buddha was all about being mindful of living a simple life. These boxes, offer up a variety of useful items, and are far from simple. Even the cheaper pack is going to provide you with great essentials like grinders, pipes, doob tubes, and more. You won't get stuck paying for a bunch of snacks and useless bracelets with these guys. The 710 boxes a re a great value, and often come with high valued torches or dab containers along with your new rig, glass is a mixture of wholesale, but not bad. Final verdict: Great for beginners, or dabbers. I personally would go with others, but this service ranks high up on the list. These guys have a funner themed approach to the weed subscription box service. Every month all of your items will revolve around one central theme. Cannabox always lets you know the theme before you purchase the box. While the glass can still be considered cheap, the themes make up for it, as this is the only box where you might receive a Mario or South Park themed smoking item. They don't overwhelm you with a bunch of paper products, and instead give you a lot more novelty items to be silly while you're high. Final verdict: The smoker who loves to laugh will love this box. The price is great. Go for it unless you are a true glass aficionado. By far these guys are my favorite. They include new industry releases like Berner's line of Cookie storage containers, and Grav glass. They are also an online glass shop, so due to their moving inventory they kick down savings to the end consumer. You definitely get the most bang for your buck with these guys. Final verdict: Hands down my favorite. Go with the combo box as the value is insane. We are talking boxes worth over $100 bucks for your $38. San Fran based, for medical marijuana patients only. Local weed connoisseurs select new strains every month, based on your preference of indica, sativa, or hybrid. Each strain is lab tested and comes in a cork top stash bottle, along with a card to verify the genetics, and THC/CBDlevels. 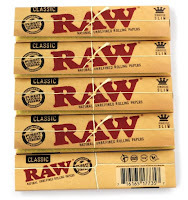 The pre-rolls come in doob-tubes and also have cards for verification. Final verdict: You are paying above market price for top shelf indoor, however for anyone with privacy concerns, disabilities or anyone who doesn't mind the cost you are getting hand picked farm to table strains on a regular interval. Test it out for a month, what do you have to lose? These guys are a way to get high quality CBD oil, for anyone looking to experiement with alternative treatments. I am no doctor, and am not offering medical advice, but for those people who have found CBD oil to be helpful with autism, GetNancy is a good, discrete way of getting your oils. CBD oils though legal, do not get you high, as they lack THC. Final verdict: For anyone who experiences any kind of chronic pain then CBD's can help to lessen that pain. If you are tired of taking pharmaceuticals, then try this and see what happens, who knows it may be life changing, if not at least you tried it first hand. If you want a discount code for any of these cannabis subscription box services, you can search youtube for unboxing videos of the services you are most curious about. For other cool items that you won't find anywhere but online check out the unexplainable store. If you want to support The420Shack, do some shopping on amazon through our links. These are some of our favorite products! 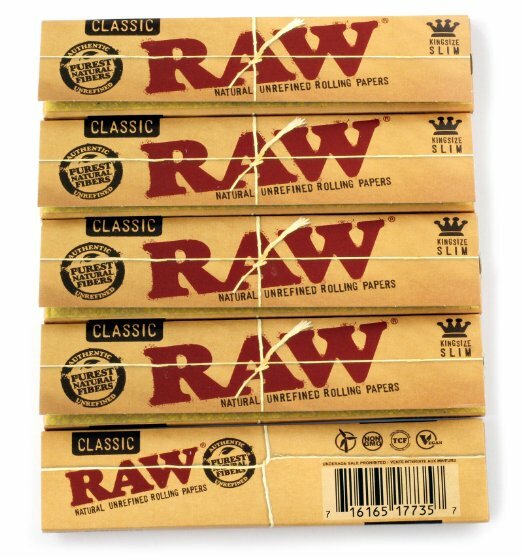 These papers are all natural and unbleached, they let you taste 100% of your herb. Never worry about titanium pokers destroying your fragile glass again. 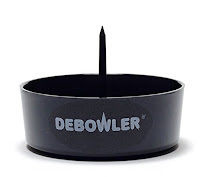 Don't spill ash everywhere either as the debowler cleanes out your bowls with ease. 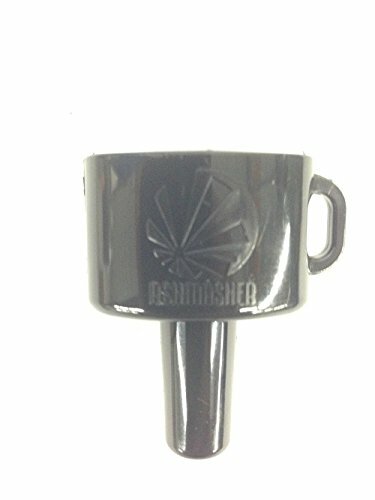 If you use a normal Bic lighter, and refer flower over dabs, then the ash masher couldn't be handier to keep the flame burning the entire bowl. 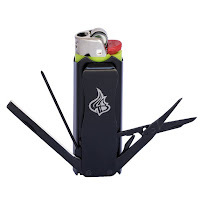 For folks who use scissors instead of grinders, or for the dabber in all of us, the lighter bro ends up being handy more often than not, as the knife is perfect for packages on munchies. bundle comes with glass tips, and cones. Silicone can be hard to open sometimes, and even harder to seal back just right. 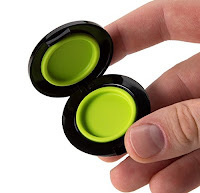 The wax wallet with plastic clip changes the silicone game, and helps keep the wax in the wallet, and not on the edges of the container. Classic and adorable, get as high as the clouds when you keep your top shelf dabs in the PuffCo silicone container. This stuff will cleaner resin off of anything. Need I say more? The420Shack has no affiliation with any of these products or services. If you have a box service and want to be included, or know of a service I've missed, send me an email or leave a comment. We'd love to hear comments of your opinions of the services as well!